Earn 2995 loyalty points when you order this item. The Dared Saturn is a stellar valve amplifier, utilising the supreme KT120 valves to deliver a stunning 20W per channel of pure Class A power and pure valve tonality. 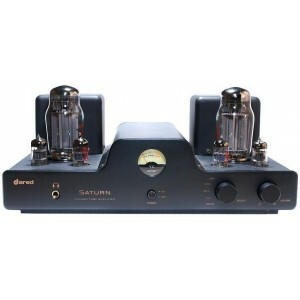 In keeping with Dared Audio's fusion of valve design with cutting edge audio technology, the Saturn features an impressive USB DAc, allowing you to connect your digital audio from a computer and enjoy it played through this impressively rich and sweet valve amplifier. The Saturn's DAC features up to 32bit/384kHz bitrate and resolution, allowing you to enjoy high fidelity audio files while experiencing the warmth and rich tone of a single ended valve amplifier.